Here you will find a massive list of pubs that are kid friendly and cater for children and have children's play areas and outdoor equipment and entertainment for children by town and city. And anything else related to keeping the children busy while you enjoy your meal and relax, catering for you, your child, and your family. This could include kids swings, indoor play areas, outdoor play areas, soft play areas, children's entertainers, kids slides, child menus, or simply a catering for your kids development by providing books, and educational material and videos. We provide information on family pubs by county, city or by activity. 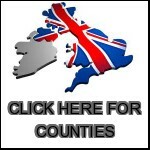 Please use the home page map for county level family pub browsing.